Four songs from the EP "Chambers" can be heard again on this cd. The whole material is 12 years old but sounds like authentic 60s. This is absolutely not negative, because this album contains tracks like "Acid comes", a song that sounds just what�s promised with the title. "Velvet Shadows" is similar, you can listen to it on their myspace page. If you like the sound, you will be happy with this record. 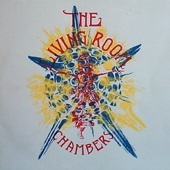 "Chambers" is an essential psych folk (pop) LP in 1997 (Male/female voice, bass, Guitars, drum, sitar, organ, flute. ), one of the best examples from Germany, and possibly one of the best psych folk releases of the last decade. The group evolved in (much) more 60�s music later. Hopefully this item will be reissued (on CD) one day. Superior late 60�s inspired psych pearl. 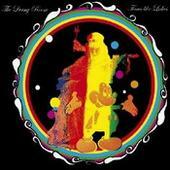 Skillful musical quotations and the authentic sound beams you straight back to Haight-Ashbury.